Back when it was a year to the month of the seminal off-payroll rules, our members and us were told the following by a senior policy adviser at HMRC, writes Julia Kermode, chief executive of the Freelancer and Contractor Services Association (FCSA). The policy adviser was, of course referring to HMRC Check Employment Status for Tax (CEST), as it has now become known (the ESS previously). This IR35 digital tool has caused a lot of chaos and confusion in the public sector since it has been in use. We understand that approximately 15% of CEST users receive an inconclusive outcome on their employment status for tax, although anecdotally this figure might be much higher. If you have used the service and received an inconclusive outcome, then HMRC’s advice is to contact the IR35 Helpline for further help. You can ring them on 0300 123 2326, 08:30 – 16:30 Monday to Friday or email ir35@hmrc.gov.uk. There is also a fax number and postal address for anyone preferring those contact methods. All staff on the IR35 helpline are trained in the public sector changes and should therefore be able to help. Despite this, according to HMRC the volume of calls to the IR35 helpline has been decreasing, with 1,740 calls in March, 1,380 in April, 1,208 in May and just 1,135 in June. 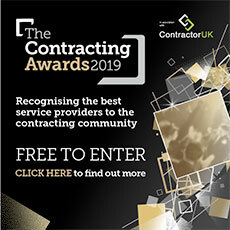 So what are contractors affected doing next if not contacting HMRC? Many will be contacting their accountant for advice, particularly if they have been in business for a while and have an established relationship with their accountant. There are lots of accountants to choose from, and those that specialise in supporting freelancers and contractors will be well-placed to provide further advice and guidance as to the likely IR35 status of your next assignment. In addition, there are other sources of advice, and other online tools and calculators that can be used to generate an opinion as to the IR35 status. There are also professional advisers who purely specialise in IR35 and status-related issues. Wherever you seek additional advice from, you may be able to purchase an insurance-backed opinion which may cover the cost of defending an IR35 tax investigation if you are later found to be inside IR35. Insurance might not always be necessary for your circumstances, and you should be careful about the detail of any policy wording and ensure that you are clear about the level of cover provided, and any conditions of the cover. Of course, it should be borne in mind that all of this guidance might turn out to be an academic exercise because in the eyes of law, public sector end-hirers have the financial liability for determining IR35 status of their contracts. This means that ultimately your end-client can make a determination that you might disagree with and/or might be incorrect. In this situation, we recommend discussing your circumstances with your client (and/or recruitment agency if there is one in the supply chain), and explaining your reasons for disagreeing with their determination. Then remember, it is helpful to have some independent, creditable evidence to support your view, whether that is from an accountant or other professional adviser. We always recommend having open lines of communication, and working together towards a mutually agreed outcome. If this all comes too late in the day for you, and you’ve already decided to undertake a contract where you have been deemed inside IR35, and you disagree with this determination, HMRC has said that you may be able to reclaim any tax and NICs paid in error, if HMRC agrees that your assignment was actually outside IR35. Your accountant should be able to advise on how to go about this. Lastly, it is worth noting that the chancellor’s first Autumn Budget is nearly upon us. There has been a lot of speculation as to the likelihood of April's IR35 reforms rolling out to the private sector, and I really hope that there is no decision to do so tomorrow. At the very least, there needs to be a proper post-implementation review of the IR35 changes in the public sector, which in my view have been very poorly executed, before there can be any consideration of widening the scope. In order to encompass the 4.9m private sector businesses in the UK, IR35 implementation would need to be scaled up by 98 times! This strikes me as a very tall order. And of course, there would need to be a full public consultation prior to any such change. We watch and wait with trepidation and hope that HMRC has seen the impact thus far and will not make any more hasty decisions to continue rolling out a piece of legislation that will have a truly devastating effect on the UK economy.